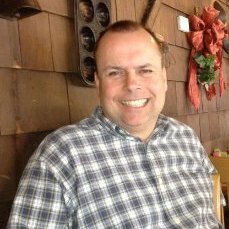 The Phytel-Family welcomes Ken Hunt as New CEO! Phytelligence files under the PCT (Patent Cooperation Treaty) and files utility patent applications in 11 foreign countries, further protecting our advanced fruit ripening compound technology. Phytelligence joins the Washington Cleantech Alliance. Read more about Cleantech Alliance here. 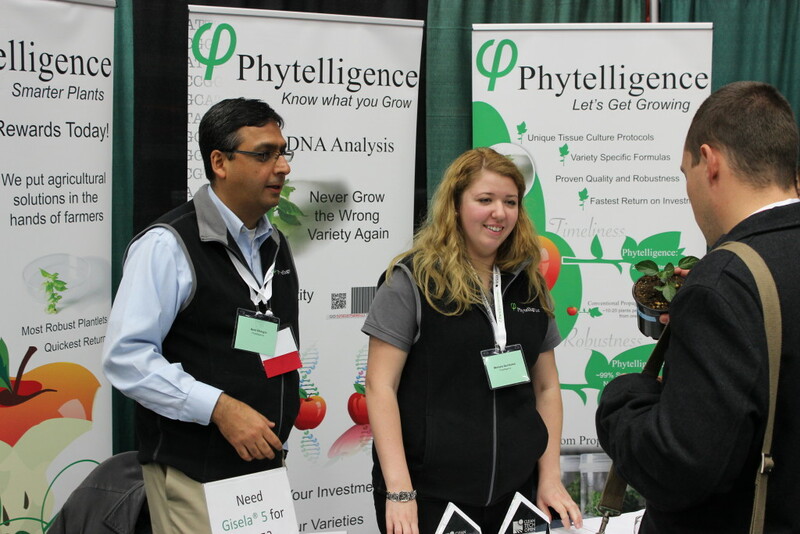 Phytelligence joins the Washington Technology Industry Association. Read more about the Association here. Phytelligence picked as the winner by the audience at the Seattle Angel Conference. 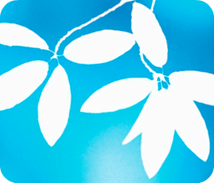 Phytelligence joins the Washington Biotech and Biomedical Association. 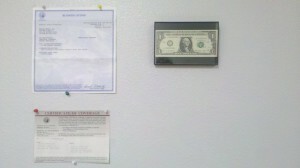 ~ We framed the first dollar and had a toast. ~ Our Board of Directors has expanded with the addition of influential industry veteran Jack Snyder, who joins company co-founder and Chairman Amit Dhingra, WSU Professor and a national expert in tree fruit genetics and genomics. 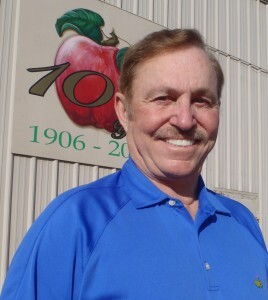 Jack is President and CEO of C & O Nursery Company in Wenatchee, Washington, and a third-generation nurseryman in the family business that his grandfather started 107 years ago. He continues to support and has a passion for agriculture, especially the development and introduction of quality fruit trees and the introduction and protection of new fruit varieties from around the world. Jack’s involvement in and service to the agriculture industry is extensive. He is or has served as Past President of the Washington State Nursery and Landscape Association (WSNLA), Past Governor of the American Nursery and Landscape Association for the State of Washington (ANLA), member and Research Committee member of the International Fruit Tree Association (IFTA), Cofounder and Vice Chairman of the International New Varieties Network (INN), member of the North American International New Varieties Network (NAINN), member of the Washington State Nursery Advisory Committee and has served for 12 years as a Board Member and 2 years as Chairman of the Community Foundation of North Central Washington (CFNCW).